Nominated for Best Musical 1995 Olivier Awards. Music & Lyrics: Roy Orbison & Friends. Script: Shirlie Roden and John Miller. Original Production: Liverpool Playhouse 1991 as “Only the Lonely” directed by Ian Kellgren. Piccadilly and Whitehall Theatres, London, plus UK National tours. Directors: Bill Kenwright & Keith Strachan. Musical Director & Arranger: Keith Strachan. RIGHTS: Bill Kenwright Ltd. at www.kenwright.com. 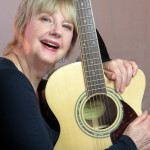 The show traces the inspired career of one of Rock’s greatest stars, The Big ‘O’. 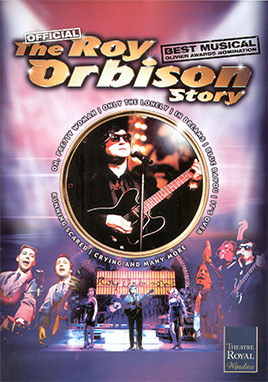 Featuring such classic songs as Oh Pretty Woman, Only the Lonely, Blue Bayou, Running Scared and It’s Over; from the early days with Elvis’ producer Sam Phillips to his first British tour with the Beatles and through 22 hit records to the comeback years with the Travelling Wilburys, The Roy Orbison Story celebrates the life of a musical legend. Cast Size: Thirteen actor/musicians.